How Does Omega-3 Help Joints? Omega-3’s can positively impact joint mobility by reducing inflammation. Taking omega-3 for joint pain and joint stiffness is one strategy you can implement into your daily pain management routine. Studies have shown that omega-3 benefits joint health and mobility. 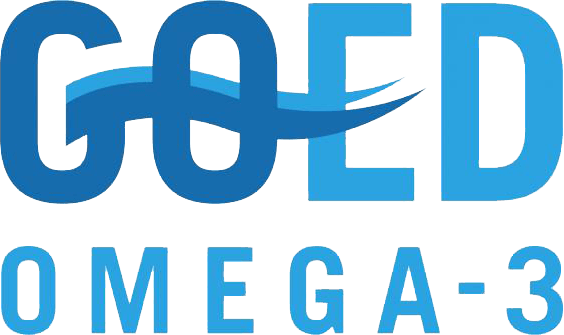 OmegaBrite has high omega-3 EPA which provides the body with powerful balance increasing mobility, joint health, and joint comfort. Yes! People feel the OmegaBrite difference, moving more freely, with comfort and ease. In several studies, omega-3 fatty acids have shown to help promote joint mobility and east joint pain. 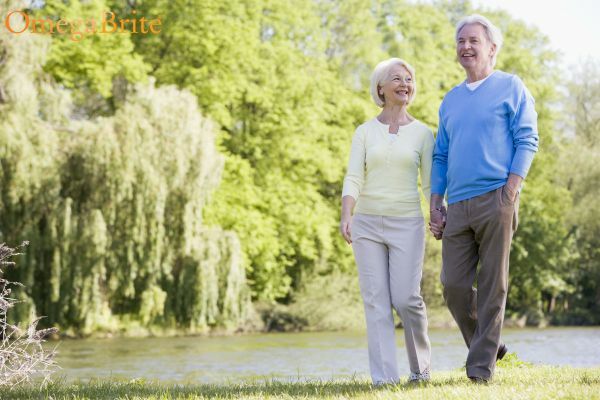 In our testimonials read about the comfort and freedom people have found with OmegaBrite. Studies have shown that omega-3 fatty acids benefit joint health and mobility and reduce joint pain. Omega-3s found in fish oil can also reduce the swelling and tenderness of joints. 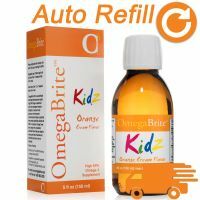 OmegaBrite has high omega-3 EPA which provides the body with a powerful balance of omega-3 to omega-6 fatty acids to decrease inflammation, increasing mobility, joint health, and joint comfort. OmegaBrite can positively impact your joint mobility by reducing inflammation in cases of arthritis. How Does Omega-3 Reduce Joint Pain? Essential fatty acids such as omega-3 and omega-6 fatty acids are used by the body to produce important signalling molecules called eicosanoids. Prostaglandins, thromboxanes, leukotrienes and resolvins are eicosanoids that mediate inflammation and bone metabolism. One prostaglandin, PGE2 which is produced from omega-6, is associated with the inhibition of anabolic processes and increased proteolytic degradation of cartilageThis means that consuming a diet rich in omega-6 results in a decrease of bone rebuilding and an increase in cartilage breakdown. Both of these processes lead to increased joint pain and reduced mobility. Changing the fatty acids in our diets may change the prostaglandins produced in the body, reducing inflammation and possibly affecting the initiation and progression of arthritis4. On the other hand, the body uses omega-3 fatty acids to produce prostaglandins that resolve inflammation, making them an essential nutrient for the prevention and treatment of inflammatory conditions. The powerful anti-inflammatory effects of omega-3 fatty acids, particularly eicosapentaenoic acid (EPA) make it a promising potential therapy for reducing joint inflammation5. 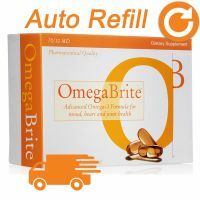 Taking an omega-3 supplement with a high EPA concentration, such as OmegaBrite is an easy way to reduce joint inflammation, pain and stiffness. The term arthritis refers to conditions that cause inflammation of the joints, leading to swelling, stiffness and pain. Taking omega-3s for joint pain and joint stiffness is one strategy you can implement into your daily pain management routine. The two most common forms of arthritis are rheumatoid arthritis and osteoarthritis. Rheumatoid arthritis (RA) is one of the most common autoimmune diseases, affecting over 1.3 million Americans and 1% of the world’s population6. Many studies investigating the effects of omega-3 on joint health have focused on rheumatoid arthritis. Research from as far back as 1985 has reported positive effects of omega-3 on rheumatoid arthritis. A 12-week trial investigated the effects of EPA supplementation in combination with a change to dietary fat intake on symptoms of RA7. In this trial, RA patients were split into two groups and followed diets with different fatty acid compositions. Patients in the experimental group ate a diet high in polyunsaturated fatty acids (PUFA) and low in saturated fats and consumed a 1.8g EPA supplement daily. Patients in the control group ate a diet with a lower PUFA to saturated fat ratio and consumed a placebo supplement. At the end of the 12 weeks, patients in the group taking PUFA’s had lower morning stiffness and lower tender joint counts than controls7. At follow-up after completion of the trial, with the patients no longer supplementing PUFA’s, the patients had deteriorated and had higher disease activity, pain levels, and tender joint counts. In contrast, patients in the control group had morning stiffness and tender joint counts at follow-up after discontinuing the low PUFA diet7. This study highlighted the impact of fatty acid intake on symptoms of RA and the quality of life of RA patients. Another study showed that daily supplementation of 2.7g EPA and 1.8g DHA for 14 weeks reduced tender joint count and blood levels of inflammatory markers8. 12-week fish oil supplementation was also reported to significantly improve handgrip strength and decrease pain intensity9. Additional benefits after 24 weeks of supplementation included reduced duration of morning stiffness, onset of fatigue and pain and improved ability to pick clothing up off the floor and get in and out of a car9. Long-term omega-3 supplementation can also have beneficial effects for RA patients10. 12-month supplementation with 2.6g omega-3 daily significantly reduced pain and other clinical symptoms of RA10. During this trial, some patients were even able to reduce their RA medications. Another study investigated the effects and safety of parenteral omega-3 fatty acids in patients with active RA11. This randomised controlled trial included 23 patients with moderate to severe RA. Patients in the intervention group were given 0.2g fish oil emulsion per kg of body weight for 14 days. 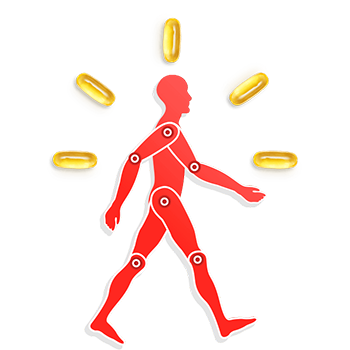 For the following 20 weeks, patients consumed 0.05g fish oil per kg body weight daily in the form of oral supplements. The study reported that the fish oil emulsion was well tolerated by patients and improved RA symptoms. After week 1 and 2 of omega-3 infusion, there was a significant decrease in swollen joint counts11. Oral administration of omega-3 post-infusion was seen to prolong the beneficial effects of the infusion. At the end of the study, there were significantly lower swollen and tender joint counts in patients who were in the active group compared to controls11. Osteoarthritis is a common chronic condition of the joints that can occur anywhere in the body but is mainly seen in the knees, hips, lower back, neck, and hands. Osteoarthritis is defined as a progressive breakdown of cartilage and loss of collagen, leading to the exposure and breakdown of bone. As the global population ages, osteoarthritis is expected to become the 4th leading cause of disability worldwide by 202012. The anti-inflammatory and pain-relieving effects of omega-3 for patients with RA, suggest omega-3 supplementation may also be beneficial for osteoarthritis patients. Levels of inflammatory markers are increased in patients with osteoarthritis, leading to the breakdown of loss of bone and cartilage. The anti-inflammatory effects of omega-3 fatty acids, specifically the omega-3 fatty acid EPA has the potential to be used as a complementary therapy to reduce the degradation of bone and cartilage. Most of the evidence for the use of omega-3 in osteoarthritis comes from cell and animal studies. Cell studies have reported the treatment of cartilage and bone cells with omega-3 reduced the levels of inflammatory markers usually raised in osteoarthritis13. A study conducted in guinea pigs found that a diet rich in omega-3 reduced the symptoms of osteoarthritis in animals prone to the disease4. In addition to reducing inflammation, omega-3 reduced the breakdown of bone cartilage. These findings suggest omega-3 could be a potential way to prevent or slow the progression of osteoarthritis. 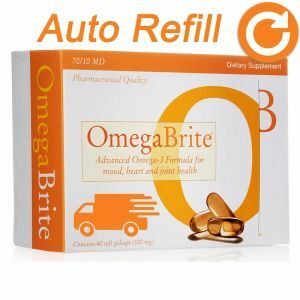 Scientific research has shown that the anti-inflammatory omega-3, especially EPA has beneficial effects for patients with many different conditions including depression, cardiovascular disease, and arthritis. Overall, the research conducted on rheumatoid arthritis and osteoarthritis has reported omega-3 fatty acids can significantly reduce joint tenderness and stiffness either alone or in combination with other PUFAs. RA patients have even been able to reduce or eliminate their use of NSAIDs while taking omega-3 supplements. As research continues, new exciting evidence for the use of omega-3s to reduce joint pain is emerging. Further clinical trials investing the use of omega-3 supplementation as a treatment for arthritis may lead to the inclusion of omega-3 supplements in the general recommendations for arthritis patients. As omega-3 supplements do not cause any drug-like side-effects, secondary complications could be prevented and avoided. Further research on the mechanisms by which omega-3s improve joint health may confirm their efficacy for arthritis treatment. Omega-3 fatty acids have many other benefits for the human body. 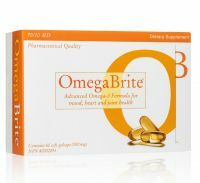 Omega-3s can improve mood, aid eye and brain development and function, improve heart health and prevent disease. This means while reducing joint pain and increasing mobility, overall health can also be supported. Heinecke LF, Grzanna MW, Au AY, Mochal CA, Rashmir-Raven A, Frondoza CG. Inhibition of cyclooxygenase-2 expression and prostaglandin E2 production in chondrocytes by avocado soybean unsaponifiables and epigallocatechin gallate. Osteoarthritis Cartilage. 2010;18(2):220-227. Li X, Ellman M, Muddasani P, et al. Prostaglandin E2 and its cognate EP receptors control human adult articular cartilage homeostasis and are linked to the pathophysiology of osteoarthritis. Arthritis Rheum. 2009;60(2):513-523. Attur M, Al-Mussawir HE, Patel J, et al. Prostaglandin E2 exerts catabolic effects in osteoarthritis cartilage: evidence for signaling via the EP4 receptor. J Immunol. 2008;181(7):5082-5088. Knott L, Avery NC, Hollander AP, Tarlton JF. Regulation of osteoarthritis by omega-3 (n-3) polyunsaturated fatty acids in a naturally occurring model of disease. Osteoarthritis Cartilage. 2011;19(9):1150-1157. Morin C, Blier PU, Fortin S. Eicosapentaenoic acid and docosapentaenoic acid monoglycerides are more potent than docosahexaenoic acid monoglyceride to resolve inflammation in a rheumatoid arthritis model. Arthritis Res Ther. 2015;17:142. Gibofsky A. Overview of epidemiology, pathophysiology, and diagnosis of rheumatoid arthritis. Am J Manag Care. 2012;18(13 Suppl):S295-302. Kremer JM, Bigauoette J, Michalek AV, et al. Effects of manipulation of dietary fatty acids on clinical manifestations of rheumatoid arthritis. Lancet. 1985;1(8422):184-187. Kremer JM, Jubiz W, Michalek A, et al. Fish-oil fatty acid supplementation in active rheumatoid arthritis. A double-blinded, controlled, crossover study. Ann Intern Med. 1987;106(4):497-503. Berbert AA, Kondo CR, Almendra CL, Matsuo T, Dichi I. Supplementation of fish oil and olive oil in patients with rheumatoid arthritis. Nutrition. 2005;21(2):131-136. Geusens P, Wouters C, Nijs J, Jiang Y, Dequeker J. Long-term effect of omega-3 fatty acid supplementation in active rheumatoid arthritis. A 12-month, double-blind, controlled study. Arthritis Rheum. 1994;37(6):824-829. Bahadori B, Uitz E, Thonhofer R, et al. omega-3 Fatty acids infusions as adjuvant therapy in rheumatoid arthritis. JPEN J Parenter Enteral Nutr. 2010;34(2):151-155. Woolf AD, Pfleger B. Burden of major musculoskeletal conditions. Bull World Health Organ. 2003;81(9):646-656. Zainal Z, Longman AJ, Hurst S, et al. Relative efficacies of omega-3 polyunsaturated fatty acids in reducing expression of key proteins in a model system for studying osteoarthritis. Osteoarthritis Cartilage. 2009;17(7):896-905. Stevens LJ, Zentall SS, Abate ML, Kuczek T, Burgess JR; Omega-3 fatty acids in boys with behavior, learning, and health problems. Physiol Behav, Volume 59 o Issue 4-5. Peet, M. (2003). “Eicosapentaenoic acid in the treatment of schizophrenia and depression: rationale and preliminary double-blind clinical trial results.” Prostaglandins Leukot Essent Fatty Acids 69(6): 477-85. 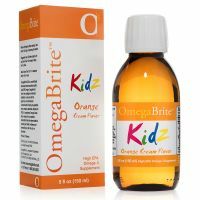 Omega-3 Fats and Autism, Copyright 2000 Harcourt Publishers Ltd., Vancassel S, Durand G, Barthelemy C, Lejeune B, Martineau J, Guilloteau D, Andres C, Chalon, S. Plasma fatty acid levels in autistic children. Prostaglandins Leukot Essent Fatty Acids. 2001 Jul;65(1):1-7. EPA-based antidepressant in two years, Copyright – Unless otherwise stated all contents of this web site are © 2000/2002– NutraIngredients– All Rights Reserved. “Consumption of Fish and n-3 Fatty Acids and Risk of Incident Alzheimer Disease”, Authors: Martha Clare Morris, ScD; Denis A. Evans, MD; Julia L. Bienias, ScD; Christine C. Tangney, PhD; David A. Bennett, MD; Robert S. Wilson, PhD; Neelum Aggarwal, MD; Julie Schneider, MD, Source: Arch Neurol. 2003;60:940-946. Prog Neuropsychopharmacol Biol Psychiatry. 2007 Oct 1;31(7):1493-9., The impact of omega-3 fatty acids, vitamins E and C supplementation on treatment outcome and side effects in schizophrenia patients treated with haloperidol: An open-label pilot study., Sivrioglu EY, Kirli S, Sipahioglu D, Gursoy B, Sarandl E., Uludag University Medical Faculty Department of Psychiatry, 16059 Gorukle, Bursa, Turkey. J Clin Psychiatry. 2007 Jul;68(7):1056-61., A meta-analytic review of double-blind, placebo-controlled trials of antidepressant efficacy of omega-3 fatty acids., Lin PY, Su KP., Department of Psychiatry, Chang Gung Memorial Hospital-Kaohsiung Medical Center, Chang Gung University College of Medicine, Kaohsiung, Taiwan. Aust N Z J Psychiatry. 2008 Mar;42(3):192-8., Comparison of therapeutic effects of omega-3 fatty acid eicosapentaenoic acid and fluoxetine, separately and in combination, in major depressive disorder., Jazayeri S, Tehrani-Doost M, Keshavarz SA, Hosseini M, Djazayery A, Amini H, Jalali M, Peet M., Roozbeh Psychiatry Hospital, Department of Psychiatry, School of Medicine, Tehran University of Medical Sciences, Tehran, Iran. Am J Psychiatry. 2006 Jun;163(6):1098-100., Omega-3 treatment of childhood depression: a controlled, double-blind pilot study., Nemets H, Nemets B, Apter A, Bracha Z, Belmaker RH., Faculty of Health Sciences, Ben Gurion University of the Negev, Israel. Br J Psychiatry. 2007 Feb;190:118-22., Omega-3 fatty acid supplementation in patients with recurrent self-harm. Single-centre double-blind randomised controlled trial., Hallahan B, Hibbeln JR, Davis JM, Garland MR., Department of Psychiatry, Beaumont Hospital and The Royal College of Surgeons in Ireland, Ireland.